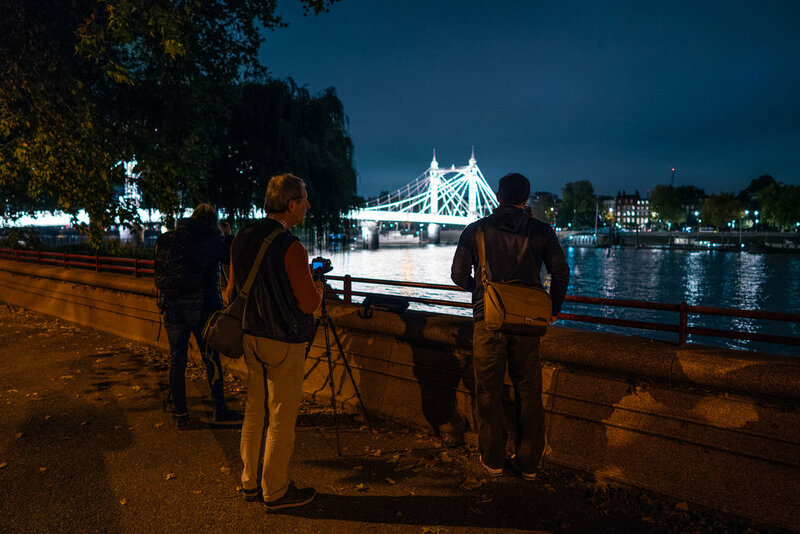 On Thursday 4th October I ran a Night Photography Workshop in London. We met at The Prince Albert pub for 6pm and then started our photowalk to Albert Bridge. The bridge is just so beautiful especially when illuminated so it was an easy choice of where to start. We shot some other things too whilst in this area and had a little play around with some light trails courtesy of my LED head torch! 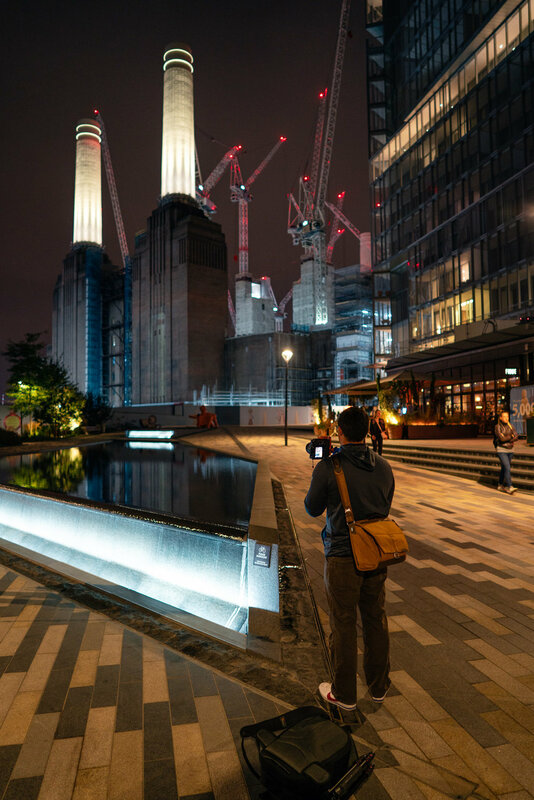 We then walked along the river further shooting as we went, but ultimately ending up at Battersea Power Station as it’s an amazing sight when lit up at night.